We have this thing called Sinterklaas in the Netherlands, who is kind of like a less fat Santa Claus. He hands out presents on the 5th of December and that’s why we have two big presents for you today. 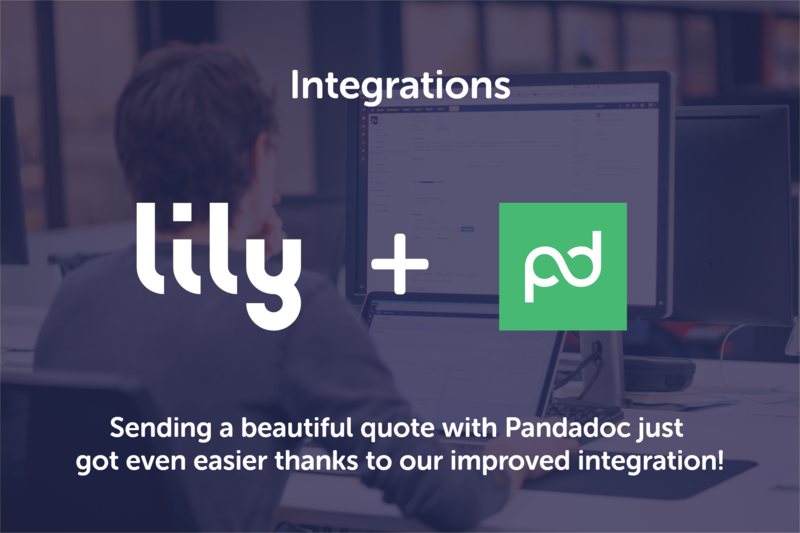 Present one is PandaDoc integration within Lily. PandaDoc is our favorite tool to write quotes. Stop copying your last quote and forgetting to alter that one name. Start standardizing, beautifying and enriching the way you formalize the cool things you’re doing for your customers. To make things easy we have integrated PandaDoc, so default fields like date, contact name and account address are automagically populated. Sending a beautiful quote has never been so easy!